Find a great deal on new Honda cars in Eugene by shopping Honda incentives at Kendall Honda. You can filter by offer and/or body type to find the Honda deal that fits your budget and lifestyle best. Honda deals and offers include financing incentives, lease deals, cash back offers, and more! Our list of Honda incentives changes regularly, so if you don’t see something that fits your budget today, check back often to find the deal that works best for you, your budget, and your lifestyle. 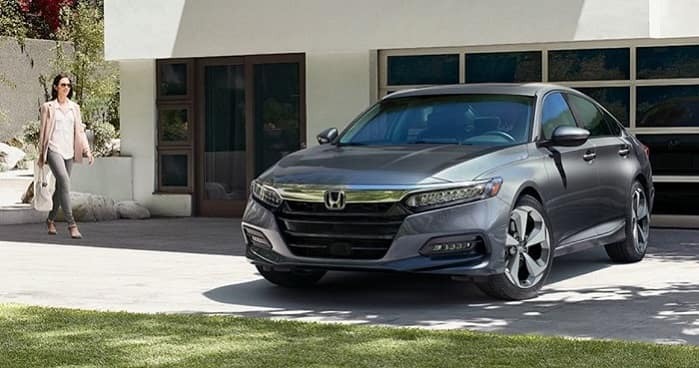 No matter the new Honda model you prefer, whether it’s the Honda Accord, Honda Pilot, or Honda CR-V, you will find new car specials that fit what you’re looking for at your nearby Eugene Honda dealer. We also proudly serve the areas of Springfield, Cottage Grove, and Florence with affordable Honda incentives. In addition to our Honda offers, our Honda Finance Center can help you secure a Eugene auto loan when you fill out our finance application. Our financial experts specialize in Honda deals and leases, so we’ll be sure to get you on the road in your new Honda car, truck, or SUV in no time. Our experts can also help you calculate the true trade-in value of your current vehicle. Fill out our trade-in value form to get started and schedule a free car appraisal. Feel free to use our car loan calculator to estimate your future Honda payment. Take the quick trip to Kendall Honda at 846 Goodpasture Island Rd Eugene, Oregon 97401 and test drive a new Honda today. Call or contact us online via chat or text for more details about Honda offers, lease deals, and financial incentives. Our friendly sales team is here to help you make sure you find the right Honda car, truck, or SUV at the right price for you.